For security reasons, sending e-mail using the internal PHP mail() function is disabled on most of our shared servers. Default WordPress installations rely on the mail() function to send e-mail to you and your blog users. You will need to switch over to using SMTP authentication for e-mails to work. As there are no settings in the WordPress Admin Area that allow you to switch to SMTP for sending e-mail, you’ll need to install a plugin to accomplish this. There are many plugins to choose from; but it’s important to choose one that is compatible with your version of WordPress, has good user ratings and is trustworthy. How do I find out what version of WordPress I am running? 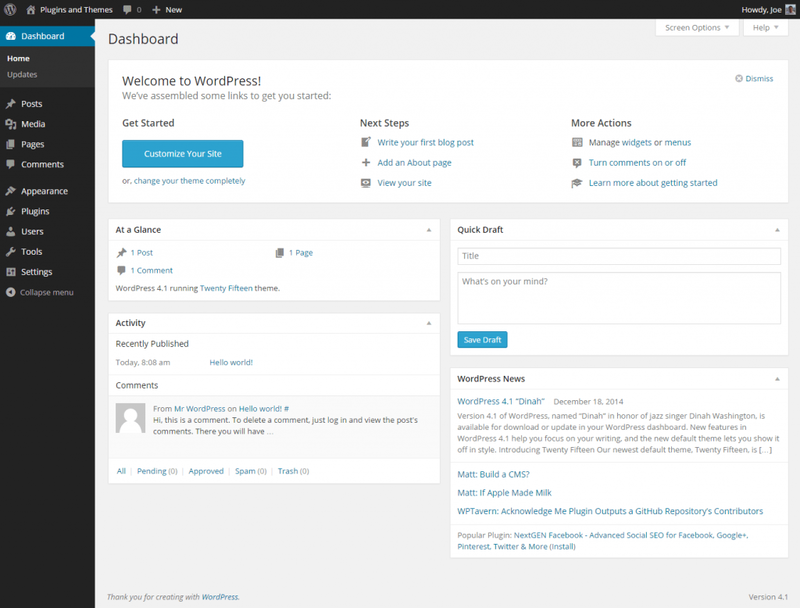 In your WordPress Admin Area, the current version you have installed is mentioned at the bottom-right of each page. You can also find your installed WordPress version by going to the Dashboard and expanding the “At a Glance” box. The instructions below are for the WP Mail SMTP plugin from Callum Macdonald. If you are using an alternative plugin, the instructions may be similar but it will be best if you consult the documentation / how to guide for the plugin you are using. From your WordPress Admin Area, go to Settings > Email. For Authentication (near the bottom), select “Yes: Use SMTP authentication.” then enter your e-mail address and password in the Username and Password fields. Afterwards, test your settings using the Send a Test Email form at the bottom of the same page. If you receive the test e-mail to the specified e-mail address, the plugin is working as expected. If you are facing problems getting things working, please post your question on our web hosting forum. A member of the community will more than likely have an answer for you.